Years of fighting in Washington to restore federal funding for helicopter research may finally be paying off. Years of fighting in Washington to restore federal funding for helicopter research may finally be paying off. If things aren't quite yet rosy in the world of U.S. rotorcraft research and development, there are signs of hope. As members of the American Helicopter Society International gather this month in Phoenix for Forum 62, their annual exchange of camaraderie, industry gossip and research papers, the rotorcraft research community seems to have found new friends in NASA and the Defense Dept. They are by no means Daddy Warbucks, come upon the scene to save a federal funding orphan from poverty and despair. Some may not even see them as friends. American's leading rotorcraft-research universities, for instance, may see only threats in the funding plans of the "space agency" and the U.S. Army. Those federal entities set up the National Rotorcraft Technology Center to foster rotorcraft research and provided funding under multi-year grants to three rotorcraft centers of excellence--at the Georgia Institute of Technology, Pennsylvania State University and the University of Maryland. But NASA has stopped funding the center and the schools and, with two combat fronts open, the Army can hardly afford to keep doing so alone. NASA this year is changing its tack, with plans to offer $40 million as soon as this month to universities for the full spectrum of aeronautics research (including rotorcraft work), but require the rotorcraft centers of excellence to compete with everyone else for the funding. The Army, for its part, is expected to notify those centers of excellence that it will no longer fund three of them. That could mean that one school (and its legion of graduate and undergraduate students) will have to de-emphasize rotorcraft research or team with another center to vie for the Army's money. Some money is flowing and AHS is working with other groups in a bid to convince Congress to open the tap a bit more. "We have an effort under way with the Aerospace Industries Assn. to restore the NASA aeronautics budget to something more appropriate," said AHS Executive Director Rhett Flater. "That budget has been cut from roughly $1.5 billion to about $700 million." 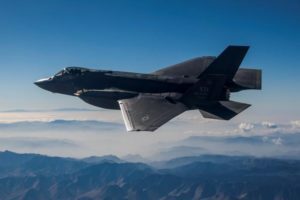 Flater and AIA representatives are circulating a one-page memo on Capitol Hill outline the funding cuts and their implications for the U.S. industrial base and national security. Their objective is to convince members of Congress to increase NASA's aeronautics budget by $188 million. "We've already been successful in getting the Senate to plus it up by $179 million," he said. That Senate's action was contained in a non-binding budget resolution, not an appropriations or authorization bill. Still, Flater said, it indicates "there is support in Congress for restoring the aeronautics budget. Of course, if we restore the aeronautics budget to some extent, we will benefit helicopter research." In the early 1990s, NASA aeronautics research was budgeted at $1.5 billion a year for all of aeronautics--research into vehicles, fundamental aeronautics, aircraft safety and systems. But in 2002, NASA's aeronautics-research funding dropped to zero and industry advocates have been fighting for funds every since. They won $12.5 million back that year with the help of Sen. Barbara Mikulski (D-Md.) and Rep. Curt Weldon (R-Pa.). 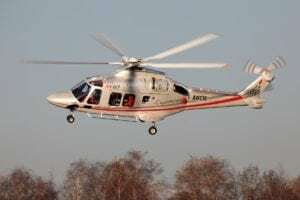 In 2003, NASA on its own decided to continue funding helicopter research, but only at a $15-million-a-year level, "which is insufficient," Flater said. The Bush Administration's emphasis on a space program aimed at returning humans to the moon, then send them on to Mars is eating into that, which is what has the AHS and AIA again forced to convince Congress of the merits of aeronautics research. Still, there are some bright spots. NASA new administrator, Michael Griffin, hired as his associate administrator for the agency's Aeronautics Research Mission Directorate one Lisa Porter. Hired away from her post as senior scientist for the Advanced Technology Office of the Defense Advanced Research Projects Agency, Porter focused at DARPA on developing physics-based predictive design tools that leveraged advanced computational fluid dynamics. She's also worked on the Helicopter Quieting Program, which focused on developing the capability to design quiet rotor blades with minimal impact on aircraft performance. "What she has done is introduced a more science-oriented program at NASA, focusing on developing tools and applications that are science-based," Flater said. "So she's looking at things like how can we develop computational fluid dynamics modeling and simulation tools that can predict how a rotor is going to behave in a given situation." Porter has programmed about $42.6 million for helicopter research within NASA, which Flater said is a welcome change. 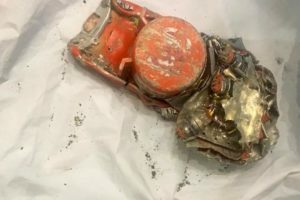 "We were seeing a situation where people that were involved in helicopter research were being retired early, let go, basically being drained away from the industry," he said. "She's reversed that by virtue of her emphasis on rotorcraft as a NASA core competency. It's been about 10 years since we've heard NASA use those words in conjunction with helicopters. So we're very pleased with this." In the Defense Dept., in addition to the Army funding of rotorcraft research, funds are being spent to revitalize a precious U.S. research asset, the National Full-scale Aerodynamics Complex (NFAC) as the NASA Ames Research Center in California. Flater said this is "our biggest success." NASA had shuttered the facility, which includes 40x80-ft. and 80x120-ft. wind tunnels. But last year, research advocates got the facility transferred from NASA to the Defense Dept. 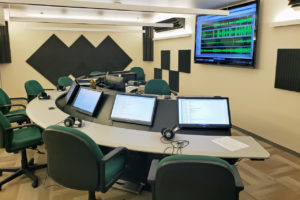 The Pentagon reprogrammed $5 million in Fiscal 2006 funds for the U.S. Air Force's Arnold Engineering Development Center to bring the facility out of mothballs. This year, it reprogrammed $17 million for the Arnold center to restore NFAC to full access. At this year's Forum, NASA's Porter will be open the "Straight Talk from CEOs" session on the afternoon of May 9. 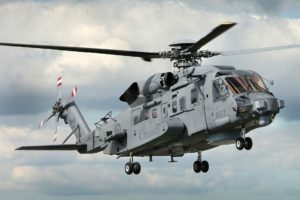 The "Straight Talk" session is slated to include top executives of all the major helicopter manufacturers, plus Frank Meyer, president of Lockheed Martin Systems Integration, the lead on the US101 presidential helicopter program. This year's line-up at the "Straight Talk" session will include a new top boss: Jeff Pino, who was recently promoted to president of Sikorsky Aircraft. He'll have a tough act to follow, inasmuch as his predecessor, Steve Finger, stunned last year's Forum with the unveiling of Sikorsky's X-2 technology demonstrator program, which is progressing toward a first flight by year's end. The Forum also will feature a program on micro air vehicles and others on Army aviation "transformation," with the program managers of that service's aviation initiatives, U.S. Navy and Marine Corps rotorcraft programs, and the U.S. Army's Joint Heavy Lift program. 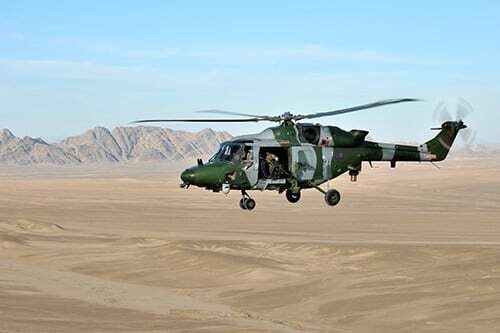 This year's Forum will be preceded by a day-long meeting on safety on May 8 by members of the newly formed International Helicopter Safety Team. They plan to issue a report card on their activities in the team's first several months of existence. This year, AHS will honor military aircrews that participated in disaster-relief operations in the United States and around the world. The Frederick L. Feinberg award, presented to helicopter pilots who accomplished the most outstanding achievement during the preceding year, will go to the members of the U.S. Navy's Helicopter Mine Countermeasures Sqdn. 15, for its relief efforts in the wake of the Dec. 26, 2004 Indian Ocean tsunami. The William J. Kossler Award, given for the greatest achievement in practical application or operation of rotary-wing aircraft, to Army National Guard Aviation for rescue efforts in the aftermath of Hurricane Katrina. Franklin D. Harris of F.D. Harris & Associates, a former general manager of Bell Helicopter, will give the Alexander A. Nikolsky Honorary Lecture. His presentation is entitled "No Accidents--That's the Objective."